Traditionally speaking, SEO-friendly content has been thought of as unattractive—and for good reason. In the not so distant past, writing SEO-friendly content meant writing content for search engines. 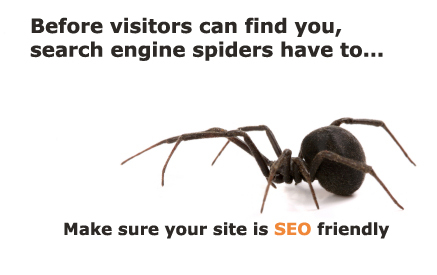 This involved everything from trying to force a certain keyword density onto a particular page to utterly ignoring the user experience in hopes that even if visitors shunned your SEO content, search engines would eat it up, so to speak. Fortunately for lovers of good writing, the past of SEO content is gone, leaving behind only the specter of poorly written content and an era of misguided SEO practices. These days, writing great SEO content is principally a matter of writi ng for an audience with only some minor afterthought put in to how a search engine will view the page. To phrase it another way, if you had to choose between delivering content that search engines would love and audiences would hate or content that audiences would love and search engines would hate, SEO practices today say that you should opt to please the audience. This is because the audience’s impression (as measured through concrete metrics like bounce rate, page visits, etc.) for any given website is now a major part of a search engine’s appraisal of the quality and therefore page rank of that content. At the end of the day, search engines just want to provide the best content for any given set of keywords; and seeing how individuals react to that content is a far more reliable method of achieving that than counting how many times a keyword was used. You can enhance your blog with SEO-friendly content by following some fairly simple principles of design. While using your specific keywords as often as possible is no longer advisable, it’s still a good idea to make sure that a search engine is able to clearly identify that your content is what it is. If you blog about tennis but you use countless hunting metaphors, your site is liable to be mistaken for something it’s not. Similarly, if you take what your site is about for granted and fail to use the appropriate keywords, you may be just as well off writing about nothing at all. One way to turn an audience off in an instant is to make your keywords and their placement too transparent. This is why many people choose to make as much use of sub-headings as possible. Not only do they provide an excellent way to break up content so it’s readable, they also offer a not so transparent platform for distributing your keywords smoothly into the text without your prose feeling forced or choppy. You can even stick keyword phrases on alt image text or title text attached to links or media. While most readers will go on oblivious of the existence of the alt text attached to picture media, rest assured that search engines won’t be as careless. Since crowd pleasing is so important in modern SEO, writing relevant, engaging, and informational content is just as important as keyword-stuffing was to SEO only a few years ago. It may seem like a trite remark to say that good content is good for SEO, but it’s important to understand the magnitude of the relationship between these two forces. Content that’s shared, liked, or marked as a favorite on a social media site doubly rewards that content. Not only will the domain in question collect the kind of page visit and bounce rate metrics that search engines are looking for as clues of quality, it’s also liable to be rewarded again when the link to that content proliferates across the internet.